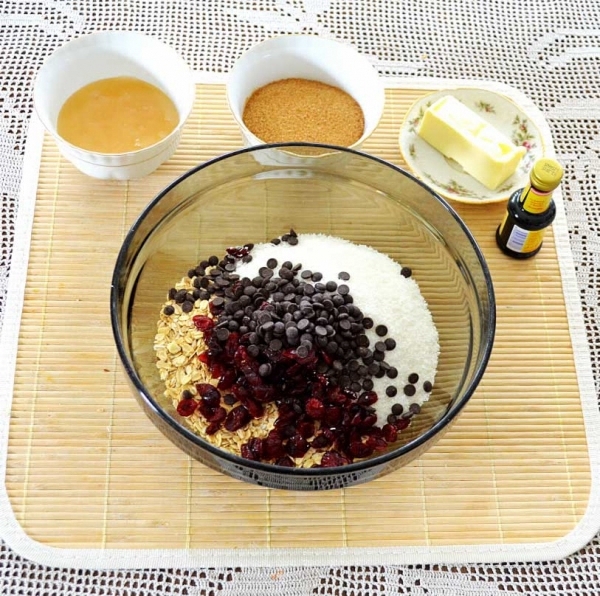 Put all the ingredients together in a bowl – except the butter, sugar, honey and vanilla. 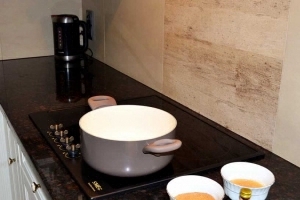 Mix the ingredients well and simmer them in a saucepan until the mixture takes on a light brown color. 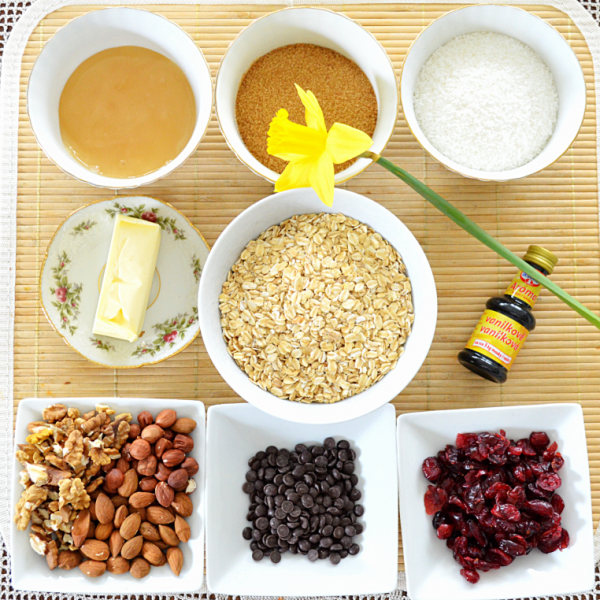 Then add the vanilla extract. 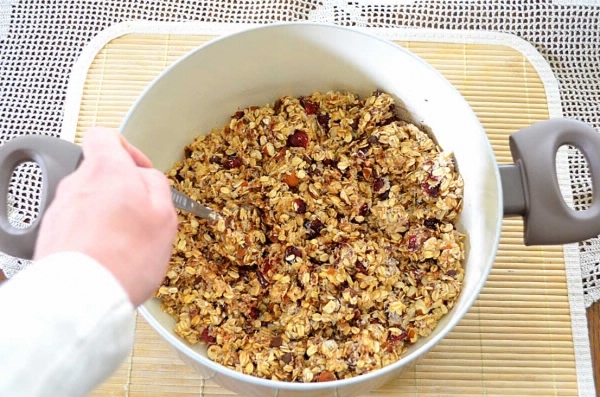 Add the dry ingredients to the moist mixture, and mix everything together thoroughly. 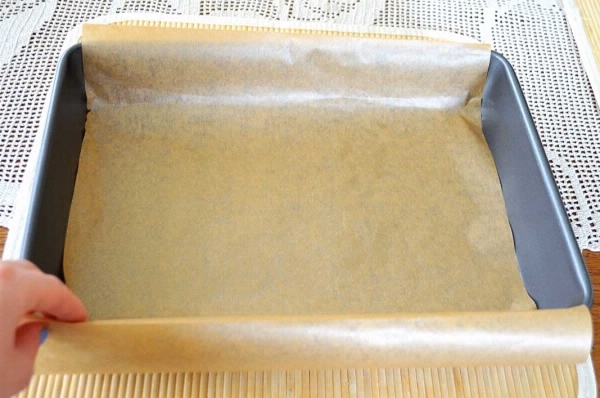 Line a 20 cm x 30 cm baking tray with baking paper. 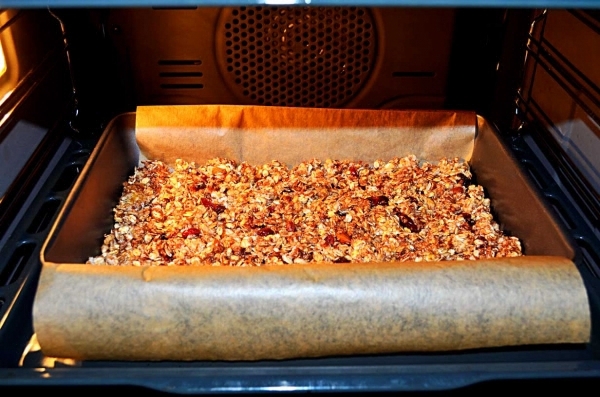 Pour the mixture onto the baking tray and spread it evenly. 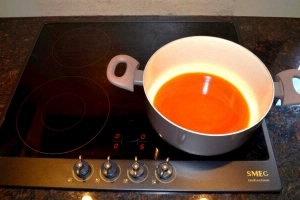 Now you can bake the mixture: 20 minutes at 160 degrees centigrade (8) - or until it has turned golden brown. 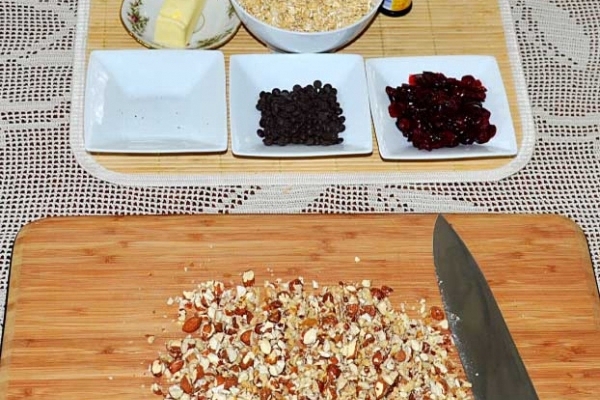 Allow the mixture to cool off, then you can cut it into granola bars in the size you want. 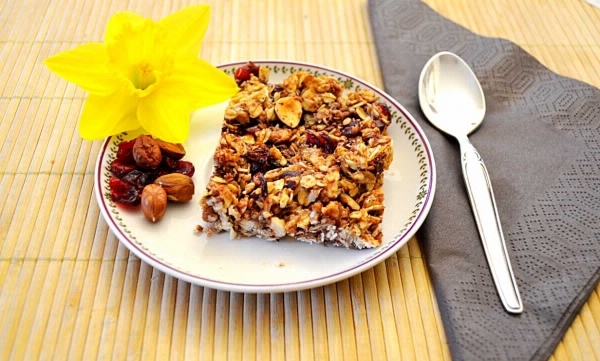 Enjoy every bite, and tell your friends how good it tasted by using the link below. 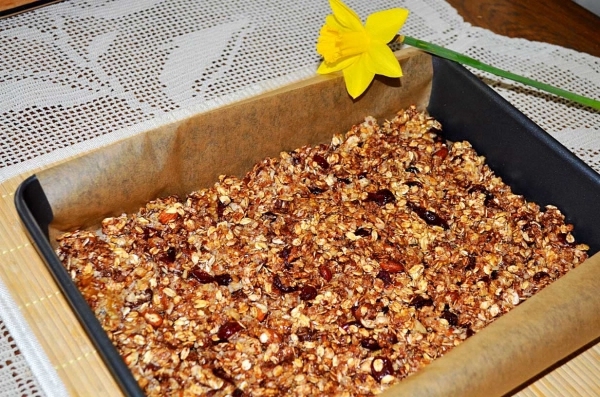 If you do not have that much time for cooking and baking we recommend you take a look at our recipes under 30 minutesWe look forward to receiving your comments and your own suggestions for healthy snacks.